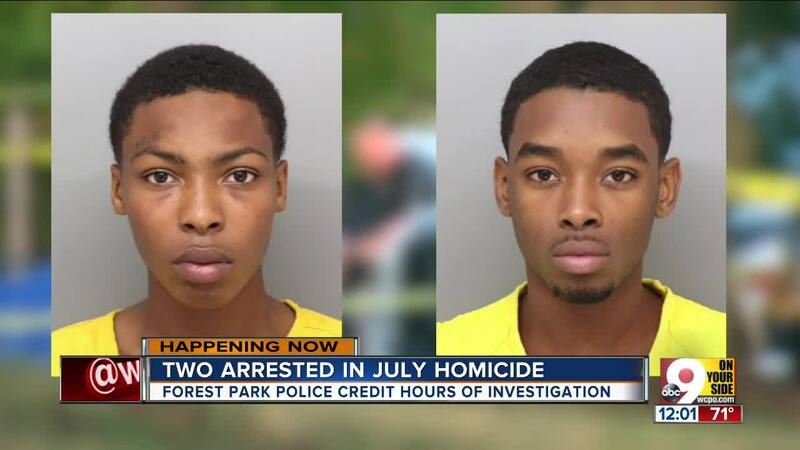 FOREST PARK, Ohio -- Two suspects have been charged in connection to a fatal shooting last month near Winton Woods High School, according to court documents. Richard Copeland, 18, and Dawayne Grissom Jr., 19, are both charged with aggravated murder in the shooting death of 27-year-old Marcus Brown. Police found Brown on July 18 in a grassy area outside a home on Komura Court, a cul-de-sac near Winton Woods High School. According to court documents, Copeland admitted to arranging a drug deal with Brown. The suspect told police that he wiped his fingerprints from the scene and stole Brown’s phone. Police searched Copeland’s home Tuesday and found two firearms -- one police say was reported stolen in Warren County. Grissom admitted to attending the arranged drug deal with plans to rob the victim, according to court documents. "Drug dealing is probably one of the most dangerous professions in the world," said Forest Park Police Chief Bill Arns. "You're talking about criminal activity, where people -- really if they're involved in the criminal activity -- what kind of scruples do they have?" Grissom claims he ran from the scene following the shooting. Neither suspect admitted to pulling the trigger, according to those same court documents. The day of the shooting, neighbors told police they did not see anything unusual. One resident thought they heard a firecracker. Police and medics arrived ten minutes later, according to Arns. 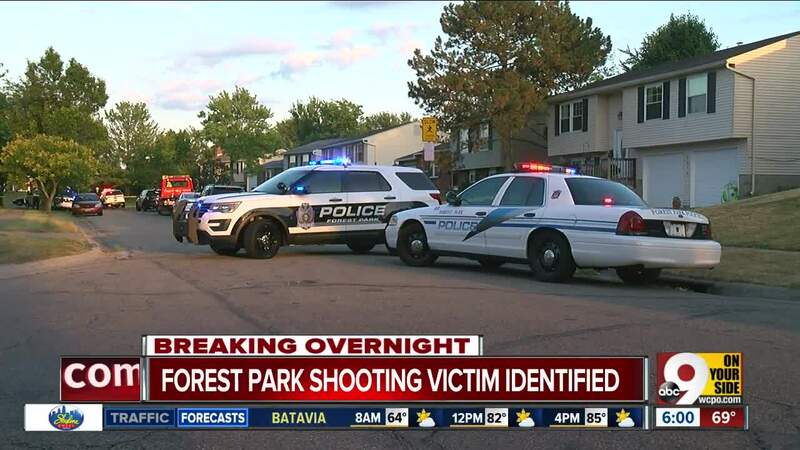 The last deadly shooting in Forest Park was in 2017, Arns said. “When we have somebody that's shot in a residential neighborhood, obviously that's a little disconcerting and we really want to find out what happened there,” the chief said. Court documents indicate a third suspect might have been present at the scene. The two men in custody are the only suspects at this time, according to Forest Park police. Copeland is also charged with receiving stolen property and having weapons while under disability. Judge Ted Berry on Wednesday issued a $360,000 bond for Copeland and a $250,000 bond for Grissom. The court hearing Wednesday was to set bond, but Judge Berry let Grissom know one thing about his alleged role in the crime. "At best you're guilty of hanging out with the wrong crowd. Okay? You don't have any adult record, but now you're working on one. This is a terrible way to start," Berry said. The pair will be back in court on August 31. Both suspects are being held at Hamilton County Justice Center.